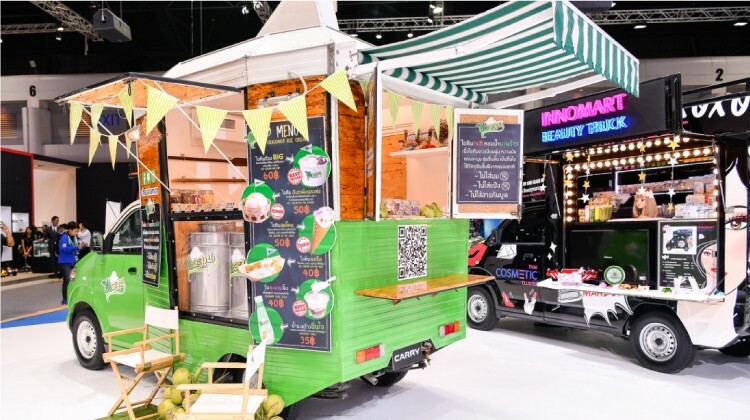 Visit ‘Food Truck Expo 2019’, the first ever food truck expo in Thailand. This exhibition aims to support entrepreneurship in this industry. It also caters for anyone with an interest in catering business operations. Discover Food Truck Show at IMPACT Exhibition! N.C.C. Exhibition Organizer and Food Truck Club (Thailand) are proud to announce the 1st edition of Food Truck Expo 2019. This event will take place from 25 – 28 April 2019 at IMPACT Exhibition Hall. The event features the latest innovations, food ordering software, mobile food trailer and kitchen equipment. Those considering a small business ownership within the automobile catering industry will find everything. There is also a food competition with ‘It’s my signature’ theme. Food Truck expo will highlight seasoned dishes cooked in the vehicles. Book now to get the best rate for Novotel Bangkok IMPACT, the nearest hotel to IMPACT Halls. You can walk directly to Food Truck Expo just across the street.